Shaping the next chapter of integrated AV experiences! As technology continues to advance, Prolight + Sound Guangzhou 2020 (PLSG20) will evolve as an integrated platform in tandem with the market. PLSG20 with provide China's pro audio, lighting, KTV and conference community with very best integrated experiences, opportunities and industry knowledge across the business, media creative, entertainment and residential sectors. Ride on PLSG19's success. Reserve your booth at PLSG20 now! reserve a booth at PLSG20! Set to delivering more diverse range of industry insights inside the regime of entertainment technology, the Course was concluded successfully. Your perfect sourcing directory for PLSG19 exhibits! We are here to reach the Chinese market. The response is awesome! We met with our distributors and partners in China. I am glad to see the show has grown in scale and become one of the most significant industry events in Asia. I think the entertainment market's growing. It provides many opportunities to us and we need to be more creative. We gained a lot of momentum and attention from the industry here. This is a very good show and is very helpful to our sales. The visitor flow and number of international visitors at the show have significantly increased. This is important for us as our company focuses on export business. This show is very useful for exploring new markets. The show is truly influential in the industry. It offers a variety of products for sourcing and a business-friendly atmosphere for sharing market intelligence with industry peers. I find a variety of good products here and I can do factory visit afterwards, so I must visit PLSG every year. Chinese audio products are getting better and the quality's very close to the European brands but in a competitive price range. I am impressed with the show as it presents some of the best international brands in the industry. It also serves as the benchmark for the latest industry trends. The market trends help us customise our future business strategies. The show is getting more important and influential and it is going to be the biggest show in Asia. It has become an annual meeting place for us and I am glad to have a chance to meet with my business partners at one spot. 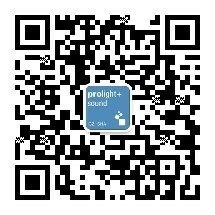 All information about your presentation at Prolight + Sound Guangzhou.